I will admit to being pretty proud of this little bit of festive colour. The kids planted the seeds that turned into the plant that I tended and nursed, that turned into the twigs that were used for this craft. Talk about upcycling. 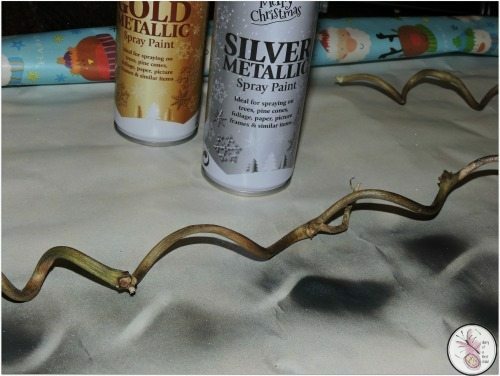 Decorating is pretty simple – lay paper out, and follow the instructions on the can to spray your twigs. 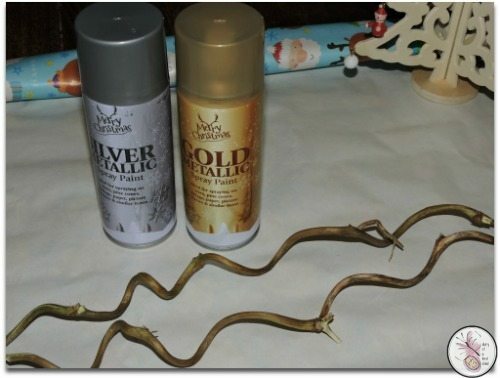 Tip: if you’ve had to untwine them, remember which way round they go so you can redo it the same way – remember they’re fragile. Once they’re sprayed and dried, twine them back together. 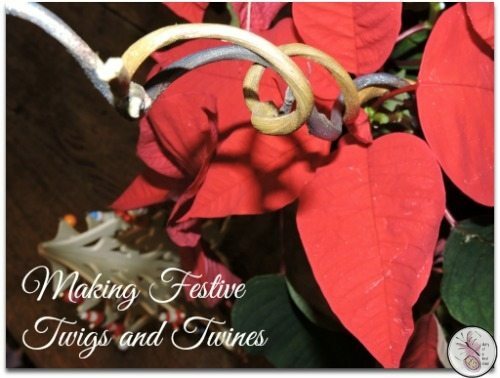 Place them in a pot with a plant, or in a vase on their own and enjoy the festive prettiness. 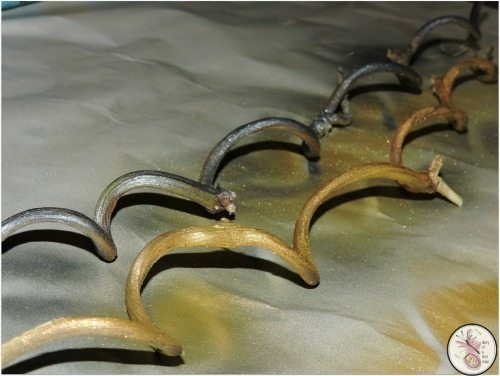 *You can probably find similar winding twigs and twines with a walk through the forest!